Giving your pet the best quality of life to the very end is as important to us as it is to you. Expert care, loving attention and respect is all they need in their last days. Our mission is to ensure your pet gets the most from their final days. Our carefully selected Vets and Care-Coordinators provide services you can rely on, including access to thoughtful Quality of Life consultations and Gentle Euthanasia in your own home. You can talk to our understanding Care Coordinators 24 hours a day. Simply pick up the phone and speak to them about arranging a face-to-face consultation with a Cloud 9 Vet in your own home, or ask any questions you might have about our home visit services. All calls are free – via an 0800 number – and lines are open any time, day or night. For appointments or personal help and support, please call us. The gentle euthanasia process will be clearly explained and your questions will be answered. When your Vet arrives, attending to your pet’s welfare takes immediate priority. Our Caring Home Visit Vet will come to your home at a time convenient to you. When you are ready, your Vet will administer a gentle sedative in such a way that your pet will barely notice. This is not a painful or distressing process, your pet simply drifts into a peaceful sleep. The next stage of the tried and tested process involves giving your pet an anaesthetic agent that causes their heart to slow and then gently stop. They pass away peacefully. This process is very gentle, humane and generally a calmer and more tranquil one than can be delivered at a clinic. It is entirely your decision what happens next. If you know that you want a cremation you can arrange this with our Care Coordinators. However you can also discuss this with your Vet whilst they are at your home and they can help you make all the arrangements. To be sure your pet's last days are as special as possible, you will need the advice and support of a skilled professional with the ability to provide necessary veterinary treatment as well as offering the sympathetic attention you need at this sad time. All our Vets are, of course, members of the Royal College of Veterinary Surgeons and work in conjunction with your local veterinary surgery to give you extra peace of mind. Cloud 9 Vets provide caring home visit Vets with a focus on gentle at-home pet euthanasia for chronically unwell, recently-diagnosed or simply ailing elderly pets. The gift of a peaceful end when your loved pet is no longer comfortable with their life is a final act of respect and kindness. We collaborate with highly accredited members of the APPCC & 4 other crematoria in the UK with highest quality of service to arrange respectful aftercare. Create or share a loving memory or picture of your beloved pet. May we say, the service you provide has been outstanding. It has been a difficult journey but the people we have spoken to, through Cloud 9 have been so professional, kind, thoughtful and respectful. The vet, Andrea, was amazing, nothing was any trouble for him. So kind and gently talked us through the entire process, very humble in our presence, in our time of loss and grieving. Thank you so much for the service you provide, very special. Warmest regards Lynn Entwistle. Maggie had a good and long life. She was the most cheerful dog in the world. Making the decision to end her life was very difficult for us. We took Maggie to two different vets before we were convinced that there was no other way. The second vet recommended in-home dog euthanasia and mentioned Cloud 9 Vets. We called them the next day and we had a very long talk over the phone with Lisbet. She answered all our questions and explained the procedure. We were assured that Maggie won't feel any pain. Dr. Pippa	Swan visited us on Thursday in the afternoon. I will always remember that day. Pippa was very kind and caring to Maggie and she reassured us that the procedure will be painless for her. We took our time to say goodbye to Maggie. I gave her a very long hug. It felt like time stopped for a moment. After that everything went very fast. A few moments later, Maggie was no longer with us. We put a memorial for her in our garden at her favourite spot. Thank you Dr. Pippa and Cloud 9 Vets for being there for us and Maggie. There is nothing worse than having to put a member of your family to rest but Dr Laura provided us with a peaceful experience as we put our furry friend to sleep. Our hearts are broken, but we are glad that Dr Laura helped us let our girl pass without pain or stress. Thank you. Losing my friend who has never given me anything other than complete unconditional love was the most painful experience in my life. Having Dr Jennifer in our home really made all the difference in the world. Thank you for being there and for doing what you do. I want to thank you and everyone at Cloud 9 Vets for organising the Gentle Euthanasia for my cat Shelley and the post mortem and cremation afterwards. It removed a great deal of stress for her & for us, and she passed away quickly & peacefully in her own bed at home. Please thank the vet for driving 2 hours to our home on a Sunday to do this, and also for driving Shelley’s body the same evening to the animal hospital for the post mortem. All of you have been kind, sensitive and professional, and I am grateful for all your help. It is Cloud 9 Vets' mission to ensure every pet owner in the UK has the opportunity to access the services of a professional home-visit end of life care vet whenever they need them. 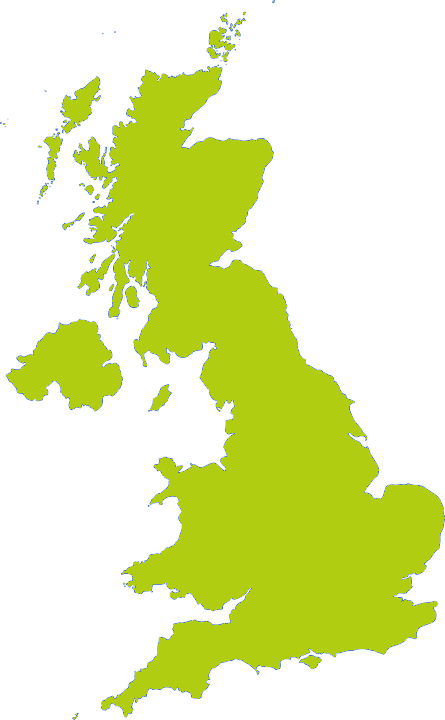 We are now available throughout most of the UK and continually expanding our coverage.